We are offering Gasket Set to our client. We supply Diesel Engine Gasket Sets of various types of diesel engines, oil engines. They are mostly made of Cellulose base fibers or CAF material. We also offer packaging facility to ensure safe delivery of products while transit. The packaging staff is well-trained and uses only quality packaging material so as to safeguard our seals against any damage. By keeping track with the modern trends, we are bringing forward a wide series of Engine Gasket Set to our valued patrons. Steel corrugated model is also available. 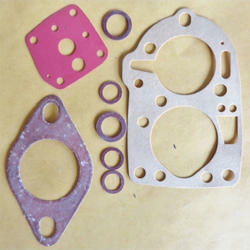 Half Gasket Set Supplier in Delhi & India. 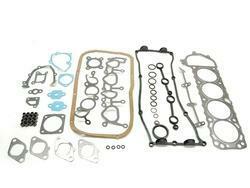 We offer our clients Half Gasket Sets at market leading price. We export all types of Engine. Our range consists of complete overhaul Gasket sets, Head Gaskets, Sump Gaskets, Tappet Gaskets for exhaust gaskets, Silencer Gaskets for all vehicles. We also supply Gaskets as per sample provided to us. We supply all kind of diesel engine / stationary engine gaskets. Such as Lister type, Petter type.